Olinda United Church and Ruthven United Church. Here is some of their History. 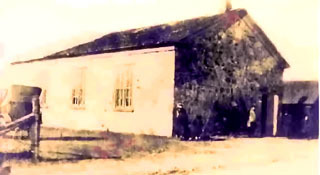 Services began in the Olinda Methodist Church, a stone building built in 1859, as part of the Gosfield or Cottam Circuit. In July 1904 it became part of the Ruthven Circuit. In 1920 the old stone Church was replaced by a red brick Church. The contractor was Henry Foster of Leamington, and the Minister at the time was Rev. H. J. Creasy. The new building was placed at a value of approximately $30,000. A special Service was held the night of November 10, 1930 with Rev. H. J. Creasy and Rev. S. J. Bridgette burning the mortgage. A Ladies Parlour upstairs & Kitchen downstairs were added on to the back of the Church and dedicated on May 19, 1963 by the Rev. Donald Campbell. 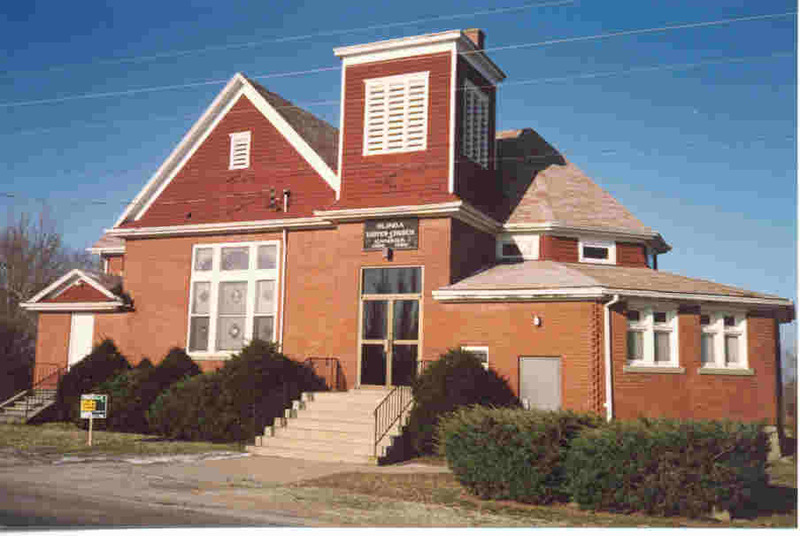 In September 1990 Olinda United Church amalgamated with Ruthven United Church. A special Service of Thanksgiving was held January 22, 1991. The property was sold, and the Church is now a private residence. Church / Denomination: Methodist first than United. Oldest stone is from 1838. Area 198 square feet. Registered to* Town of Kingsville. On June 27, 1867, property for the Church was purchased from Alexander M. Wigle for $80. 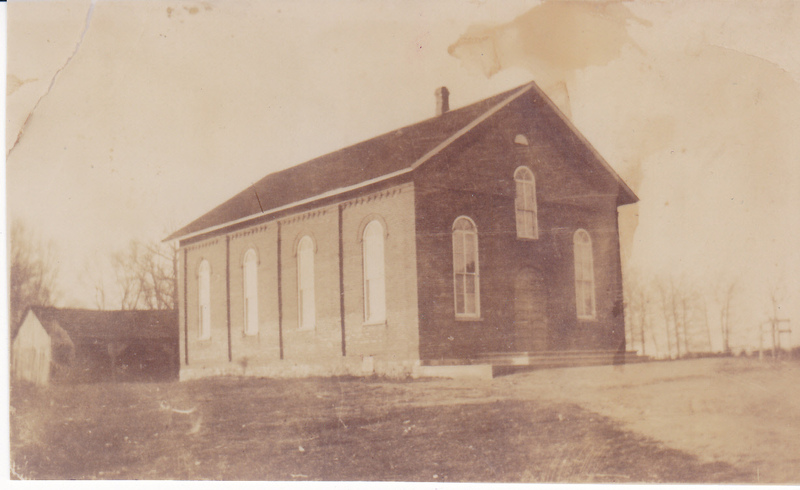 The first Ruthven Methodist Church building was a solid brick structure 60 feet by 39 feet with a gallery and spire. The windows were round topped and frosted. The seating capacity of the Church including the gallery was about 250 people (the gallery could seat 80-100). 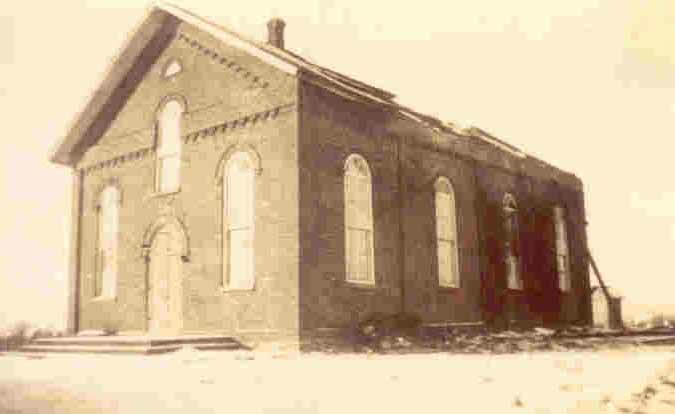 This Church building was dedicated December 9, 1869 by the first Minister Rev. Ezra Stafford. In 1869 the Ruthven Methodist Church was on the Gosfield Circuit. In 1916 the Ruthven Circuit included Olinda, Ruthven and New California. The Church was almost completely destroyed by fire except the gallery and the old pulpit. Around 1890 pews were replaced and many extensive repairs were made. In December of 1938 the roof of the Church was blown off by a high wind. It was decided by the Congregation to consider plans for a new building. These plans were completed in the fall of 1939, and work on the new Church began in November. The corner stone was laid by Zacharias Wigle. During the building period, Sunday Services were held in the Oddfellows' Hall in Ruthven. The basement was completed and dedicated on June 9th , 1940 and was used for Church purposes until the interior of the upper part was finished. The new Church, Ruthven United, was dedicated on April 19th, 1942 by the Rev. G. J. Minielly and the Moderator, the Right Rev. Aubrey S. Tuttle. 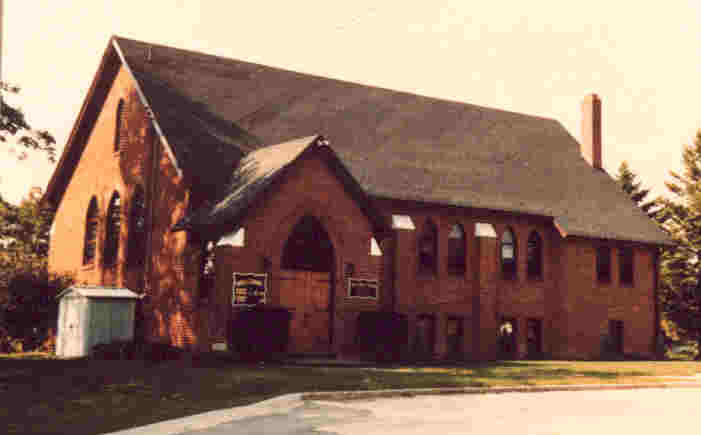 In the Spring of 1990 Olinda decided to amalgamate with Ruthven and officialy became Olinda-Ruthven United Church on January 22, 1991. Church / Denomination: Cemetery established in 1881 on 7/10 of an acre sold to William Simpson. United. Registered to* Town of Kingsville. Ruthven Cemetery is divided by a major highway so they call it Ruthven South and Ruthven North. 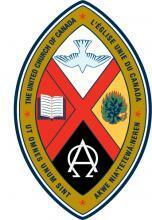 In 1990 the Olinda United Church and Ruthven United Church voted to amalgamate. Since Ruthven had more property and was in small village, members of Olinda United Church voted to close their Church and sell the property. On January 22, 1991 there was a Special Service with the new Pastoral Minister, Linda Blair, Rev. William Moore, Charge Supervisor, and Rev. Beatrice Ash, Chair of Essex Presbytery celebrating the amalgamation of Olinda United Church and Ruthven United Church. The Olinda-Ruthven United Church was born. 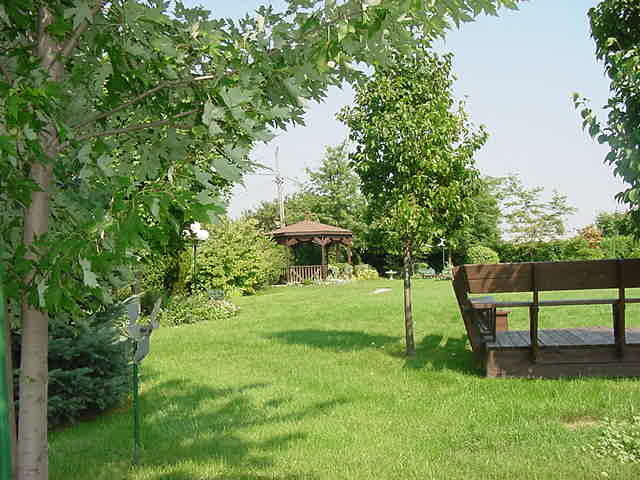 Family trees were planted and a beautiful Garden was designed on the property behind the Church. The Emmaus Walk was dedicated on May 16, 1993. An addition was completed in 1993, adding a New Church Hall, Kitchen, Restrooms and Church Office. The Dedication of the new additon was on January 23, 1994. A Lift was installed enabling all to attend Worship Services in the Sanctuary. It was dedicated on September 15, 1996. A Service of Thanksgiving was held on November 2, 1997 to celebrate the newly redecorated place of Worship and a wonderful addition - Foyer, Office, Hall, Kitchen, and Washrooms. The Building Committee completed its work at the end of 1997, when all the costs of the addition were paid. The Sanctuary Windows were refaced and rededicated to the Glory of God on Easter Sunday, April 15, 2001. We have installed 3 hearing devices for the hearing impaired. A paved parking lot has made it easier for people to access the Church and for clearing snow. Trinity along with Olinda-Ruthven welcomed our New Minister, Rev. Olav Kitchen on October 1, 2012. Trinity joined Olinda-Ruthven on Sunday, October 28, 2012 with a Celebration of a New Ministry along with Essex Presbytery to officially start Olav's new Ministry with us.